A North Wales, Montgomery County, woman has been arrested and charged with first-degree murder in the shooting death of her husband over the weekend. 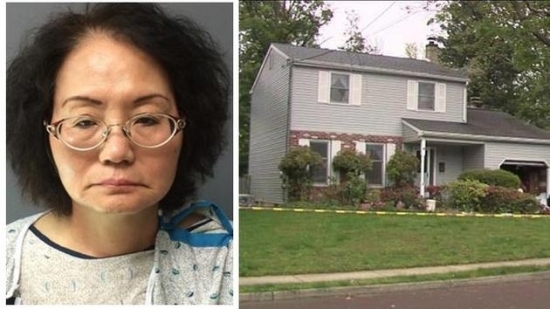 63-year-old Hsiu-Chin Lin is accused of killing 67-year-old Chien-Kuo Lin around 4 p.m. Sunday in the garage of their home on the 200 block of South 6th Street. Police responded the scene shortly after 4 and found the husband dead on the floor of the garage and Lin sitting at the kitchen table with a .38 revolver in front of her. Montgomery County District Attorney, Kevin Steele said, “The facts show that the defendant was test firing the gun in the past week and then fired not once, but four times, fatally shooting her ex-husband once in the chest.” She was arraigned on Monday and is being held without bail. A preliminary hearing is set for June 1st. A police K9 helped find a missing 11-year-old boy over the weekend in New Castle, Delaware. Police were called to the boy's home on the unit block of Highland Boulevard in the Sophia’s Place West community around 3 p.m. on Sunday. The boy had run away on foot after an argument with his parents. The K9 officer 'Ax' was able to track the boy's scent and found him a half mile away. The boy was reunited with his family safe and sound. A Baltimore police officer was acquitted on Monday of all charges related to his involvement in the arrest and death of Freddie Gray last year. Officer Edward Nero was found not guilty of assault, reckless endangerment, and misconduct in office by Circuit Judge Barry Williams. Gray died on April 19, 2015, a week after suffering a broken neck while riding in the back of a police transport. He was handcuffed and shackled but did not have a seatbelt. Nero is the second of six police officers charged in the case to go to trial. Officer William Porter's manslaughter trial last December ended in a hung jury. Chance of a thunderstorm, temperatures in the low 70s/upper 60s this evening in Center City.